With the recent attention on extreme couponing and the rise of money saving blogs, it is no wonder people start jumping on the couponing bandwagon. With all the time and effort people have to put into couponing, is it really worth is? Extreme couponers spend between 10-20 hours per week searching out deals. So when you are thinking about starting to coupon, you need to think about how much time you have or are willing to put into searching for coupons, spending time in the store, and traveling to multiple stores to get the best buys with your coupons. You will also need to think about space. 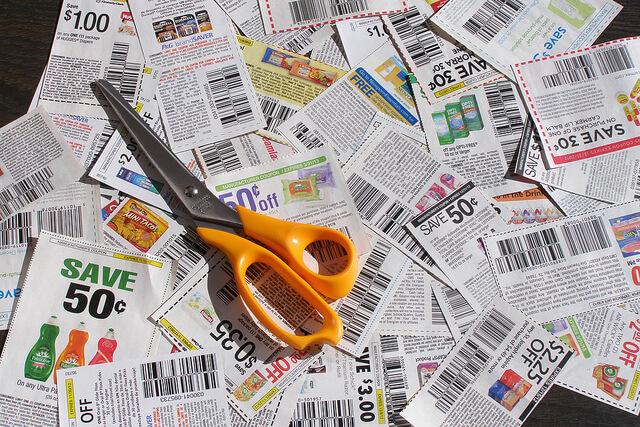 A major way of saving money by using coupons is to buy in bulk. Coupons are typically for processed pantry foods. The most expensive items in your grocery cart tend to be meat, produce, and dairy for which there is rarely a coupon for. Is it a product you would normally buy? If not, don’t be tempted to keep the coupon and buy something you don’t really need. If the groceries you purchase are not going to be eaten by your family or they are not healthy options, then it is not worth spending your money, even if you have a coupon. Along the same lines, be sure to buy things that you use all the time when they are at a low price not just when you run out. Products like toothpaste, deodorant, canned foods like pasta sauce, boxed pasta are all good examples of products to look for and buy when they are on sale. Even with a coupon, a name brand item still might be more expensive than the store brand.